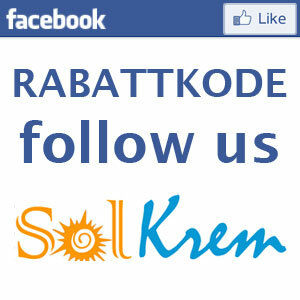 Tannymax - Melon Rainbow Slimming Tanning Lotion - Solariumskremer og solkremer! 6th Sense Melon Rainbow Slimming Tanning Lotion is based on special aloe vera juice that hepls to accelerate metabolism of skin cells and cell renewal andsupports the skin to smooth and regenerate. The combination of cupuaçu butter and shea butter supports providing intensive skin care and also helps to counteract drying. Melon Rainbow Slimming Tanning Lotion is distinguished by its effective slimming properties resulting from the ingredient combination of carnitine and caffeine. This complex provides cells with vitality and supports skin with new energy and helps to dehydrate the connective tissue, which helps the skin to become firm and stable. Its honeydew melon extract contains ample vitamins and thus helps to enhance and strengthen the skin’s natural defences. The apricot and pineapple extracts as well as the vitamin complex consisting of vitamins A, C and E support a fresh and energetic complexion. 6th Sense Melon Rainbow Slimming Tanning Lotion contains special ingredients that accelerate the natural tanning process in natural sunlight or in a solarium. In addition to this, the ingredients guarantee proper consistency of care lotion on the skin. 6th Sense Melon Rainbow Slimming Tanning Lotion does not contain any self-tanners (dihydroxyacetone). For daily use as body care and/or as a skin care lotion for a solarium, apply evenly to the skin. 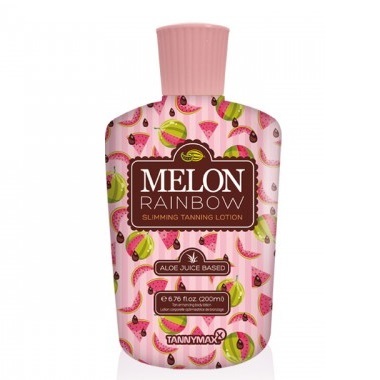 For optimal results use Melon Rainbow Slimming Tanning Lotion regularely and massage the lotion evenly into the skin. The Slimming Lotion supports the skin’s natural tanning process. The lotion does not offer any solar protection. Dermatologist tested.